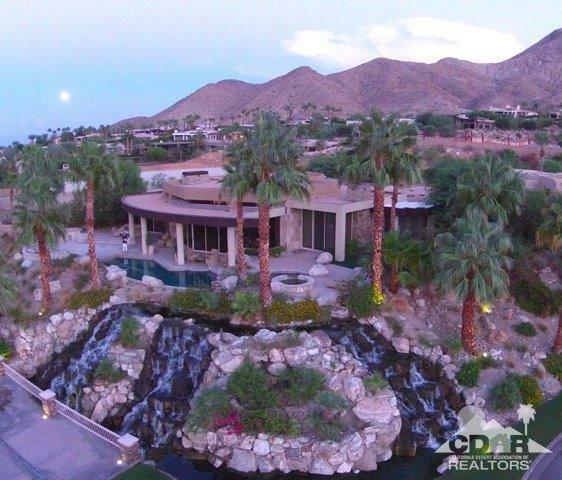 Tumbling Waters is an incredible contemporary residence, perfectly positioned above the Highlands waterfall in Mirada Estates on a magnificent .69 acre parcel, boasting breathtaking panoramic mountain & valley floor vistas + city lights at night! 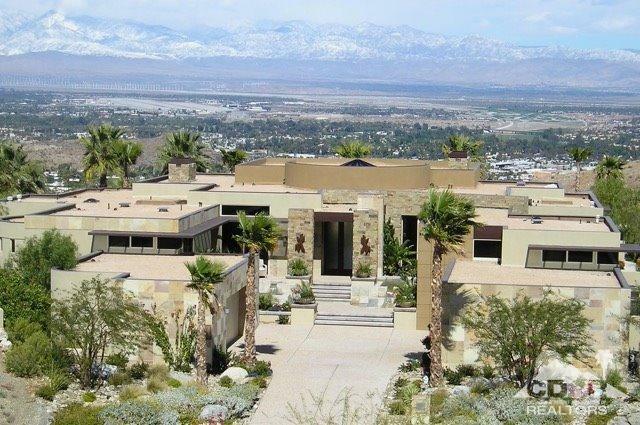 The balance of energy between the desert & the sophisticated architecture has an incredible Zen-like influence. 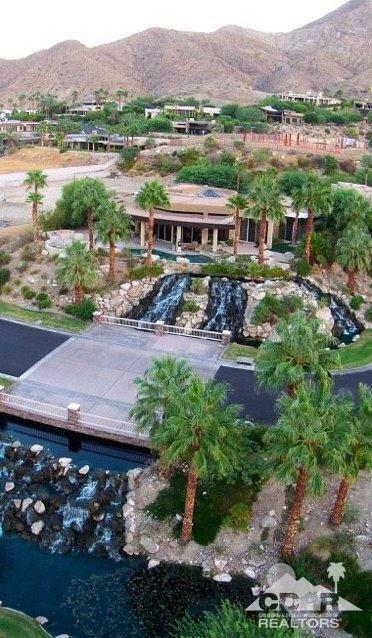 The interior spaces were designed & custom furnished to fully involve the surrounding desert environment & views. Floor to ceiling glass, French limestone flooring, rift-cut bleached wood ceilings, use of stone, metal & custom glass all add to the understated elegance. Amenities include dramatic circular entry & skylight; state-of-the-art theater; pullman kitchens in guest suite 2 & guest house; gym/office area in master suite; fully racked & temp controlled wine room; front pond/water feature; outdoor entertainer's dream w/unique pool/spa, fire pit, BBQ area & more! Residents enjoy special amenities of the famed Ritz-Carlton Resort. Listing provided courtesy of Judy Zeigler And Associates of Bennion Deville Homes.